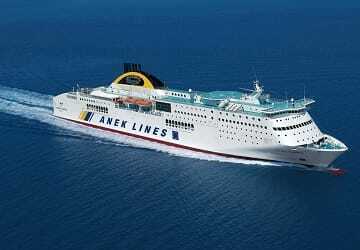 For more information, please visit our Ferries from Greece to Italy page. 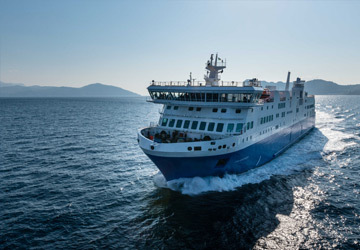 The Igoumenitsa Venice ferry route connects Greece with Italy and is currently operated by 2 ferry companies. 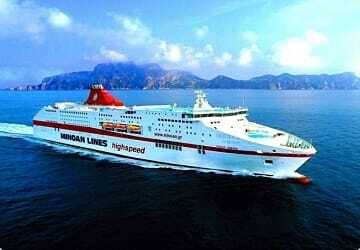 The Minoan Lines service runs up to 2 times per week with a sailing duration of around 25 hours while the Anek Superfast service runs up to 2 times per week with a duration from 25 hr 30 min. So that’s a combined 4 sailings on offer per week on the Igoumenitsa Venice route between Greece and Italy. Compare now and get the best fare at the time that you want to travel. Prices shown represent the average one way price paid by our customers. The most common booking on the Igoumenitsa Venice route is a car and 2 passengers. The Greek city of Igoumenitsa is located in the north west of Greece and is the capital of the Thesprotia region. The Greek island of Corfu lies a short distance across the Gulf of Igoumenitsa and is therefore a popular place to visit from the town. Igoumenista is surrounded by hills full of pine trees and is on an amazing coastal road lined with sycamores. The town's port is an important line between Greece and Italy and as a result attracts many tourists to its streets which are lined with beautiful buildings containing shops, cafes and restaurants. A pleasant way to spend a relaxing afternoon as by taking a slow lunch on the terrace in one of the city's restaurants. The city was once an important town in the Kingdom of Thesprotis in the 4th century and was known as Titani. Following archaeological excavations, artefacts have been found showing there was a theatre and two temples in the town. 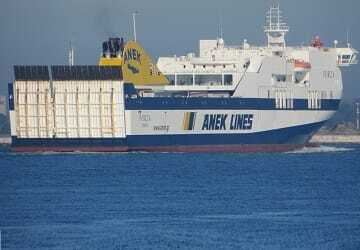 From the town's port ferries can be taken to Bari, Brindisi, Ravenna, Trieste, Venice, Kerkyra, Lefkimi and Paxi. The Italian city of Venice was founded more than 1,500 years ago and actually lies on 118 different islands that are connected by a series of over 150 canals and 400 bridges. This beautiful city's historic centre is divided into six quarters which are Cannaregio, Castello, Dorsoduro, San Marco, San Polo and Santa Croce. All of Venice's buildings are supported by either Oak or Pine posts that have been driven deep into the ground in order to provide a solid foundation for the buildings they support. Venice is arguably one of the most visited, and most beautiful, cities in the world and has many popular attractions including the Basilica San Marco which is a large church and perhaps one of the most famous sights in the city. Also in the city is the Piazza San Marco, in the heart of the city, the Palazzo Ducale which is a stunning waterside palace, and the Accademia Gallery that contains masterpieces from the 14th century through to the 18th century by some of the world's greatest artists including Bellini, Longhi, Picasso, Titian and Rosalba Carriera.